It is something that we cannot emphasise enough: there is a lot that you can do to keep your home safe from burglars and that should always be the first place to start from. Security systems offer a very good layer of protection but if you are not vigilant then it could be that your insurance company does not pay out in the event that you do get burgled. This month we take a look at your home to see how you can make it safer. Look at it from the perspective of a burglar and you will no doubt spot a few things that you can change quickly and at little or no cost. Walk around your property when all windows and doors are closed and check for weaknesses, potential easy entry points, and frames that are warped or damaged. If you can see it, then so will a burglar. If you spot anything make sure you get it fixed as soon as possible. Always lock doors and windows when you are not in the house. This applies even when you are in the garden. If you are in the back gardening or relaxing, you won’t be able to see or hear someone sneaking in through the front door or side windows. Keep all keys out of sight and out of reach of the letterbox. Burglars can use hooking devices to reach keys that are hanging up in the corridor near the door, so keep them well out of reach. If that is not possible then put them in a closed drawer, one that is facing away from the front door. 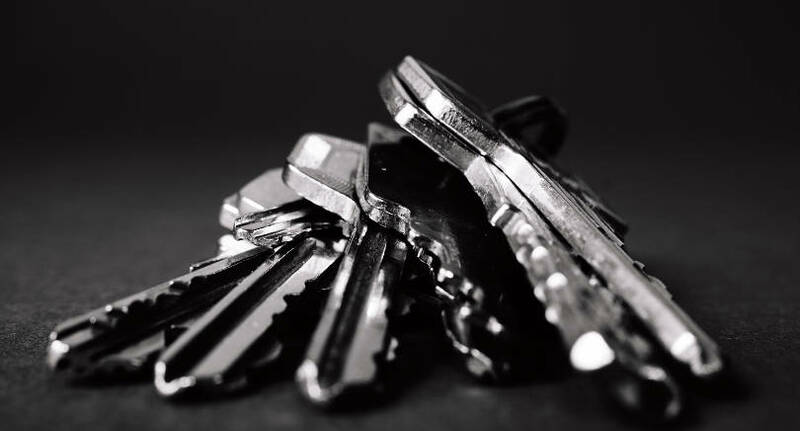 If you have recently moved into a new property or have been burgled before then it is also a good idea to change the locks for full peace of mind. Do not leave any tools or ladders lying around as they can be used to gain access to your property. Lock them away in a shed if you have one and if you don’t make, sure they are locked up in your home. Keep all fencing in good condition, particularly around the back which is less visible to neighbours and passersby who could act as a deterrent. Make sure that any side gates and garage doors are kept closed and locked at all times. Front hedges should be kept trimmed down to a height that aids natural surveillance. If others can see your front door and windows then a burglar is not going to risk trying to break in. Get sensor lighting installed that will be triggered by movement. This will light up if someone moves around or tries to get into your home through a back door or window increasing the chances of being seen and therefore acting as a big deterrent to people even trying. For the inside of your home, get some timers for strategic locations such as your living room or kitchen so that lights come on when it gets dark or radios and TVs are working giving the impression that someone is home even if you are not. You can also get your valuables registered with Immobilise for free to help recover any stolen items should you be burgled. Get a trusted neighbour to keep an eye out when you know you will be away, especially for longer periods of time. They can also manage any post build-up. Join a Neighbourhood Watch scheme if one is operating in your area as well. Get an alarm installed. Not only will it act as a further deterrent, but it can be linked to the police or security company and go off is someone triggers it. For more tips on keeping your house safe from burglars or to discuss installation of an alarm, give us a call at DNA Security on 01424 718 844 and we can arrange an appointment or a chat with one of our experts. We would love to hear from you, please call on 01424 718 844 or get in touch via our contact page.